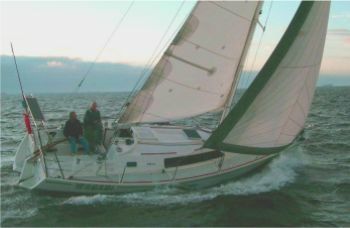 Didi 34 "Wasabi" racing on Table Bay. 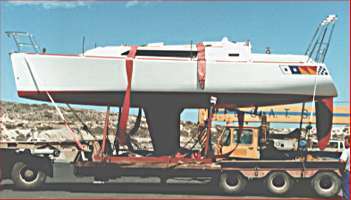 Down below, the layout is based on a feature found in most of Dudley Dix designs, the midship engine. It gives excellent access for maintenance, places the heavy weight at the optimum position to reduce pitching and allows a flatter after underbody because the weight is not having to be supported as far aft. 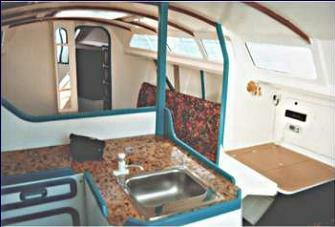 It also allows a good seagoing U-shape galley to be built around the engine, with centreline sinks.